The convenient Violet laser pointer will remove the resent out of presentations. Ever want to see the stars in other colors? Do you love showing people your new toys? Add this item to your collection. Your laser pointer will be sure to have friends and family talking about all the cool things you can do with this laser. Easy usage with only one push of a button can strike blue beam of light and is visible in dark. The light points at any target. So use it for presentations, lectures or just for fun. Best choice for teachers, professors, doctors, and so on. 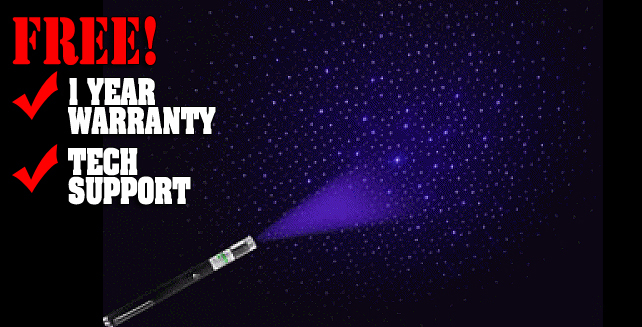 The small size of Violet laser pen allows you to carry the laser around with ease as a regular pen in your pocket.